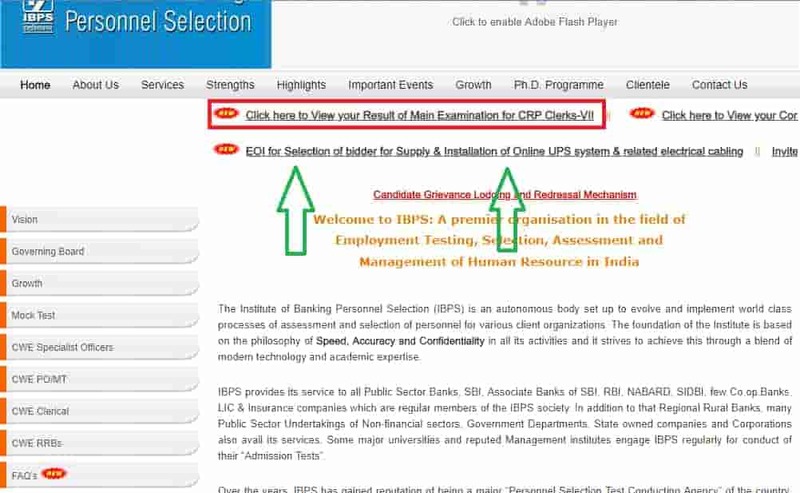 Visit the IBPS official website and click on the link 'Result'. 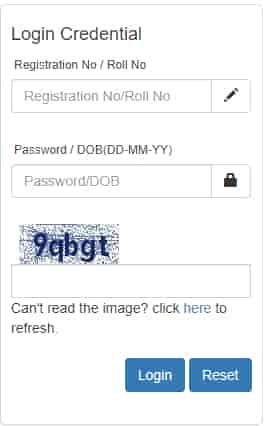 Enter registration number and password and click on Submit button. 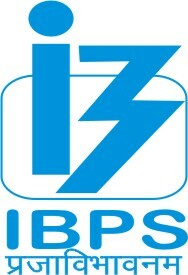 Phases: IBPS CLERK Exam has mainly two stages: Preliminary Exam and Main Exam. Result declaration: The exact date of the declaration of the IBPS CLERK result will be intimidated on the IBPS official website. The Prelim Result is published 15 days after all the IBPS prelim exam slots are completed. Those who have been shortlisted in the prelims will be qualified for the mains exams. 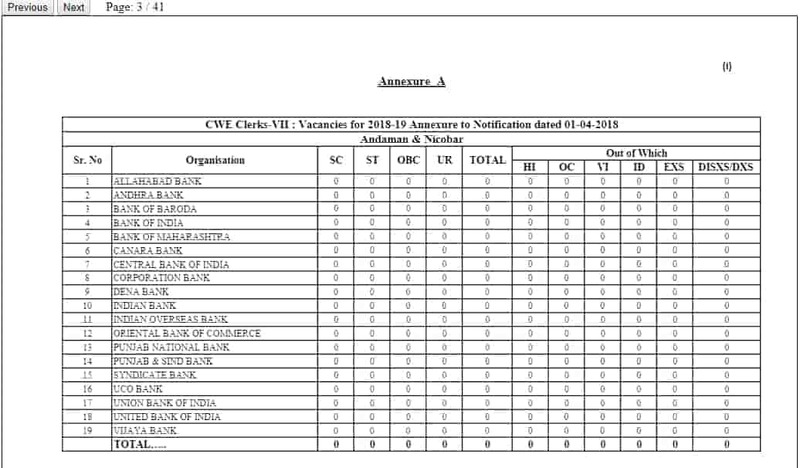 Cutoff: IBPS CLERK 2018 cutoff will vary State wise. Section wise cutoff: A candidate has to clear both the section-wise as well as the overall cutoff as decided by IBPS for qualifying the IBPS CLERK Exam. Final Stage: There is no interview for IBPS CLERK, so the score obtained in the IBPS CLERK Mains exam is the deciding factor for the final result. Step 3: For the result, the candidate has to enter their registration no. or roll no. and password or date of birth. 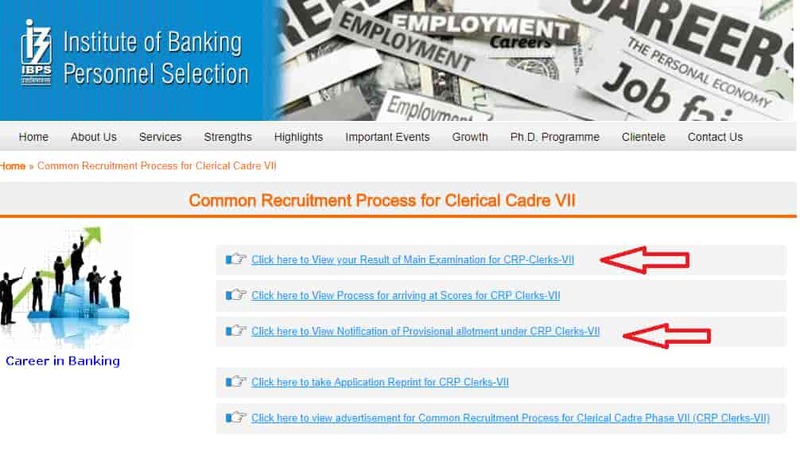 Step 4: The candidate will be directed to the next page where his/her result will be displayed. As the number of participants increases the competition also increases. This results in the cutoff increasing every year.